Programs will be available mid-March 2019! Official Programs will be available at participating retailers, through the Midwest Horse Fair Online Store and at the Midwest Horse Fair (while supplies last). Order a Program and have it sent directly to you! Pick up your FREE copy of the Official Midwest Horse Fair Program at these participating retailers! Available starting the week of March 20! Official Programs will also be available at the Midwest Horse Fair (while supplies last). Please contact each store for program availability before making the trip. Famed equestrians, world-renowned equine acts, talented horses and the top ten finalists of the Mustang Challenge come together for a legendary evening of entertainment, fun and compelling competition all in celebration of the glorious horse. 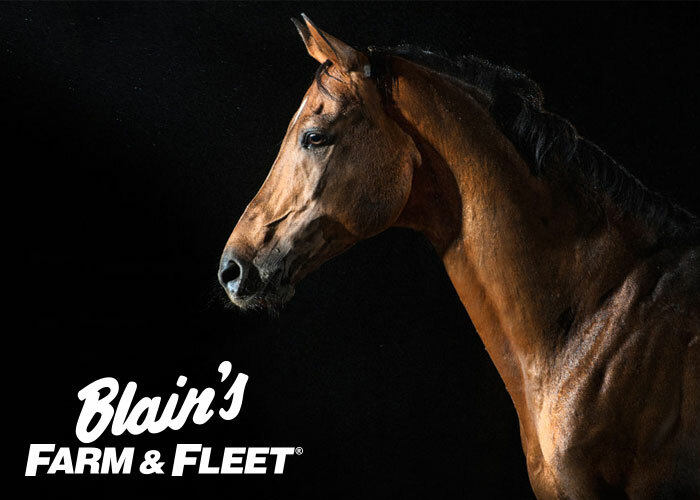 Proudly sponsored by Blain's Farm & Fleet.